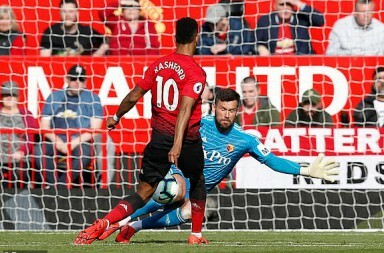 Manchester United returned to winning ways in the Premier League with a 1-0 victory against Tottenham Hotspur at Old Trafford and contributing writer, Nathan Quao, underlines the main points from the close encounter. The most basic options and the simplest answers are often the best and Anthony Martial’s winning goal showed it. A long ball from De Gea, the knock-down from Lukaku and the finish from Martial proved that not all goals must be scored using intricate moves. It was obvious that Man United could not match Spurs’ industry and guile in their midfield and so, a second way was needed to find the breakthrough. Mourinho brought on Lingard and Martial to run down the sides since Spurs had reinforced their midfield with Dembele. They decided to go long as they had also brought Llorente on but Man United beat them to the punch. The Red Devils need to understand that Lukaku’s physique is a weapon even though he doe not use it often. He chooses to be more cerebral about his goals and that is a wonderful thing to do. But in tough times, the team and Lukaku should decide on using him as a wall to bounce balls off. It is simple and it is effective. Teams have used it well and the goal from Martil only goes to show how viable that option is. Man United scored against Middlesbrough last December in a 2-1 win at Old Trafford. Today, they went back to that sequence and they found that if you keep things simple, the answers will come. Ander Herrera worked all day together with Nemanja Matic in midfield and the Spaniard was lively. He was ready to do his bit for the team and that was commendable. But the busy shift could not hide the deficiencies. He could not provide a lot going forward and that affects the team. Granted, he is not built as a number 10 or a number 8, but he should surely be able to move the ball on into the attacking zones especially since Matic is doing a great job in the number 6 role. It is important for the manager to see what Herrera can do and thrust him into those roles if the team will benefit fully. As things stand, he looks out of sync. But he is not alone. Henrikh Mkhitaryan also needs to get better. It is a mystery to see that he has his free role and is still not delivering fully. Could it be a lack of attacking options around him when the team is attacking or he has dipped in form? There are many answers to be given across the season. Rivalry among team mates, they say, is a bad thing but what is happening at Man United involving Marcus Rashford and Anthony Martial can be seen as a bit of a blessing. Rashford starts, he works hard, gets subbed, Martial comes on , scores and proves a point and the team wins. Martial showed it again and the team beat Spurs. Jose Mourinho needs to understand the psychology of the cycle and use it well. It is a very good weapon to have and the manager must get the players to see what they have inadvertently discovered. The secret weapon in United’s armour could just well be these two young players. Some people are naturally negative and will always look at the glass as half empty. That also extends to how they 'support' or think they support their football club. If we win 1 nil they would say we should have scored three. If we win 4 nil they would say the opposition was lower table and crap at that. If a striker is banging in the goals and God forbid he fails to score in one game they would say he was a waste of money. If the manager comes out with any sort of statement they would say he has some sort of a weird agenda. 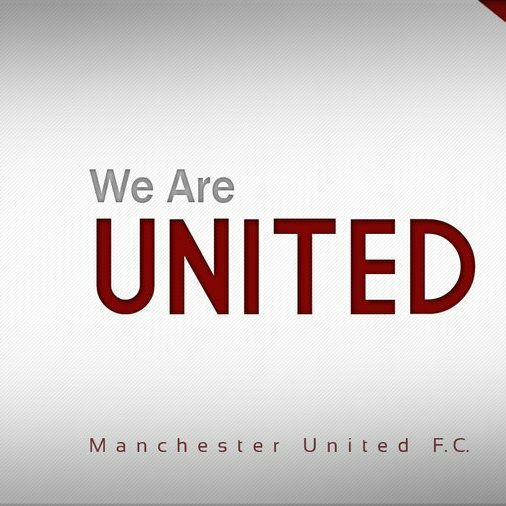 Bottom line is those types of people can never be pleased, not just with United but my guess is with life in general. Bitterness will always eat them up. But it's not only them kind of people with the problem is it? There are optimistic, glass half full kind of people who will take 1-0's and praise mourinho for his success who are criticising him right now.. There's always 2 parties for everything.. for example there are some to whom José can do no wrong and they'll find an excuse or a reason for everything.. Martial and Rashford are obviously game changers, whoever says different has to check themselves, it’s not even a question. You have a point mate, some may be exaggerate how they support their team and can see no wrong whatsoever, that is also extreme. I read that piece and I already posted my thoughts on it.. I don't really agree with it and see the comparisons as inaccurate.. It's not true that the " pro Mourinho" fans see no wrong. I criticized him for sticking to Fellaini. He proved me wrong. I've been quiet about Fellaini ( reluctant acceptance) this year. I was against Lukaku, but he's proved an excellent buy, and as a United fan, I'm 100% behind him. Ditto Matic. Now tell me ONE thing Tod has accepted that Mourinho was right and he was wrong this year. Find me ONE positive thing he has written about the club. Even with hindsight, he still won't accept that a freaking substitution was the right thing to do!